King Edward Medical University (KEMU) Lahore announced admission 2018 in MBBS, Masters, MPhil and Ph.D. programs as below you can check all the requirements of these mentioned courses. The KEMU Lahore is the reputable school of medicine, transferring medical knowledge and deliver qualified skilled doctors and gives them training in its linked center named as Mayo Hospital. This medical school of education is becoming the most famous organization in Pakistan amount to all other top medical colleges in Pakistan 2018 and now which is the number fourth medical college in South Asia. You can get admission in King Edward university Lahore for MBBS, B.Sc Hons, MS, Undergraduate, Postgraduate, Ph.D. and much other medicine-related courses also specialization in particular doctorate fields and courses. 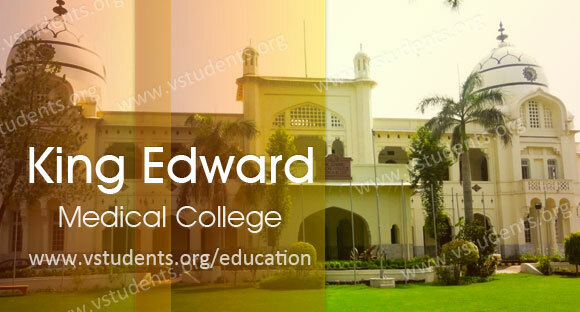 Here you can find the king Edward college admission requirements, entry test date, offered programs, course fee structure, admission form download to apply online and more related to jobs in KEMU Lahore. The institute is running various departments and centers of medicines such as basic science department, medical and allied department, surgery and providing knowledge on Undergraduate, Postgraduate, Mphil and Ph.D. level under the highly competent and professional scientists and teaching faculty. Please move downward and check for details about King Edward Medical college admission requirements, last date, fee structure, merit list, entry test date and admission criteria to get enrolled in it. The last date of admission is 16th of September till 2 pm. After that, no applications will be entertained. The candidates will have to pay 7000/- rupees for entry test. Admission form fee would be charged Rs. 1000/- and these charges will be nonrefundable. This highly ranked university will take admission fee dues according to the regulation of the institute to maintain the quality and effort for admission test. For more details about the fee structure visit this link. The University will take a written test, the announcement of MBBS entry test merit list, video project clinical exam date and commencement of classes date according to the given schedule. After this university requires time to declare the mbbs merit list for successful students who get admission in KEMU Lahore. The King Edward Medical college Lahore is announcing admission in the Ph.D. program this year, where you will get specialization in Basic Medical & Clinical Science. Students who are interested to submit application forms they can check relevant details including admission requirements eligibility criteria, fee structure, last date, merit list and interview schedule which be released after some time from university officials. If those candidates who did not give the NTS Test, they would appear in university subject based test and the applicants have to pass this test not below to 60% marks. This test would consist of the information regarding anatomy, pathology, biochemistry, physiotherapy, cell biology, research methodology, epidemiology, and physiology. The candidates must hold MPHIL, MD, MS, FCPS, MDS or eighteen years equivalent education in dental and medical science recognized by Higher Education Commission HEC & PMDC. If their CGPA is below to 3.0 out of 4 or less then 2nd division, then they are not eligible to apply for the Ph.D. course. The applicants must pass their GAT (General) Test or GRE test by national testing service NTS with the minimum scoring of 60% in the test result. This course consists of 4 years duration where you will learn about various medical terms, diseases and their treatments by one of leading medical institute of Pakistan. Doctor of medicine program outline: The program will provide you information and make you specialized in community medicine & public health, general medicine, pediatric medicine, radiology, general surgery, ophthalmology, about otorhinolaryngology, obstetrics, and gynecology. The applicants must submit of admission forms before the last date and must possess the basic medical qualification of MBBS or an equivalent medical qualification recognized by Pakistan medical & dental council or FCPS, MD basic science degree holders. The candidates having a certificate of one year’s house job experience and must have to submit their experience certificate along with admission form for King Edward medical college Lahore. The KEM will take entry test and only those students who will pass this medical written test with 50% scoring, would be called for interview. Address: King Edward Medical University, Nelagumbad, Anarkali, Lahore, Pakistan. 54000. What is fee structure for MMBS? When the entry test will be conduct for MBBS? My marks in first year is 351. How to apply in Kenya and what is it’s fee structure for mbbs or bds or d pharmacy? Please find the updated admission last date on the page above for MBBS. What is last age limit for mbbs? The last age that you can apply for MBBS is 28. How many marks are required to take admission in d.pt at kE this year? I have done ics and i want to take admission in ophthalmology. kia p mjhy btai g kindly k king Edward k bsc k admissions kb open hn g n form submission ki last date kia hia? Dpt admission start ho gai hai ya nhi. Yes, Admissions have been started. you can apply. I’ve completed Doctor of physiotherapy course from Dow university which is five year undergraduate degree program. I want to do MD from King Edward Medical university Lahore, is it possible for me to do MD from king Edward medical university Lahore?